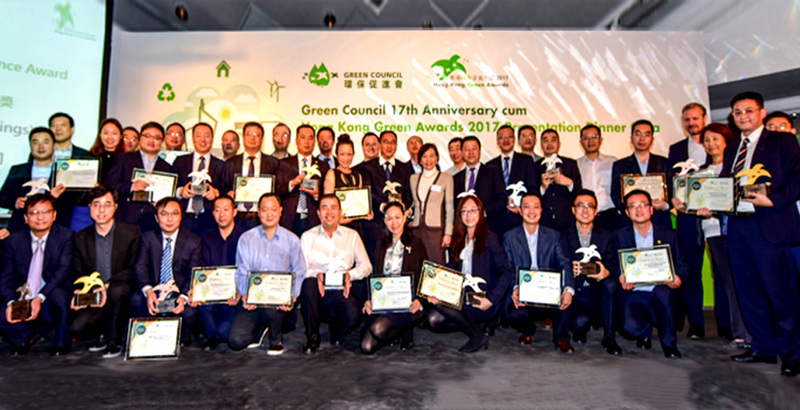 On December 1, the Hong Kong Green Awards 2017, hosted by the Green Council (GC) of Hong Kong, announced that China Resources Group is the winner of the Corporate Green Governance Award – Grand Award; the Environmental, Health and Safety Award (Large Corporation Category) – Platinum Award; and the Green Management Gold Award (Large Corporation Category). CR Group is also recognized as the premium consecutive award-winner (for 7 years or more). In total, there are 24 submissions from China Resources Group for this year’s awards. 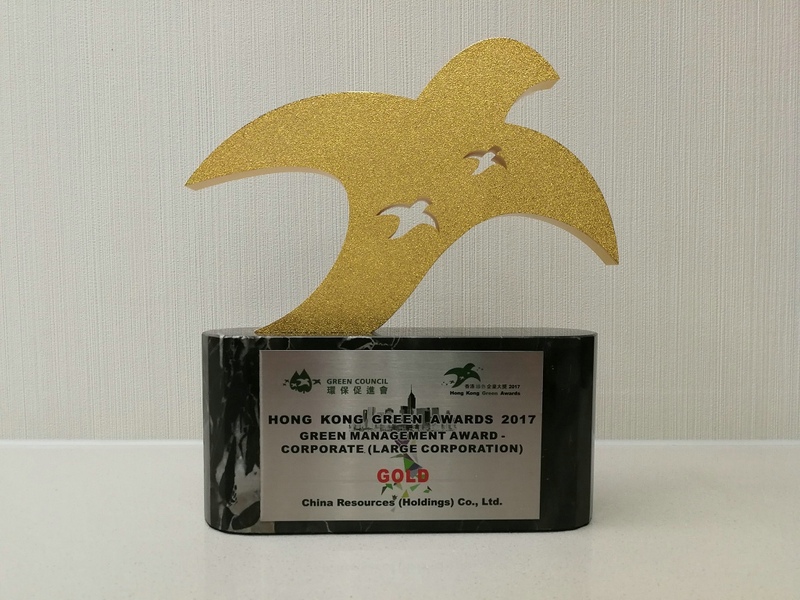 With a total of 28 awards at different levels, China Resources was the biggest winner in this event. The applicants of the company received one platinum, three gold, six silver and seven bronze awards. 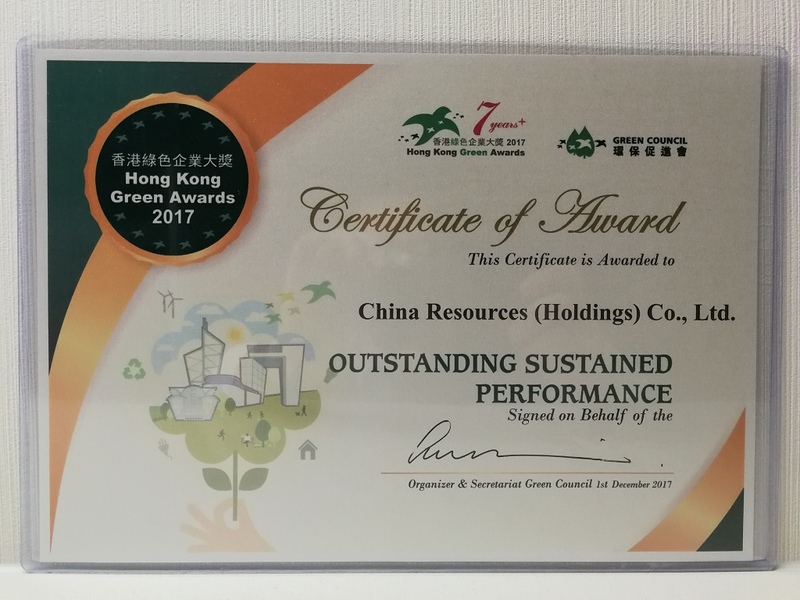 Believing in the concept of green development, CR Group and its subsidiaries have been continuously strengthening environmental protection and emission reduction management, to improve resource utilization, reduce pollutant emissions and enhance their competitiveness in sustainable development. Achievements have been made in promoting application of new eco-friendly and energy-saving technologies and products, building of renewable economy zones, participation in social waste treatment, CR Group and its subsidiaries have been widely affirmed by all walks of society. 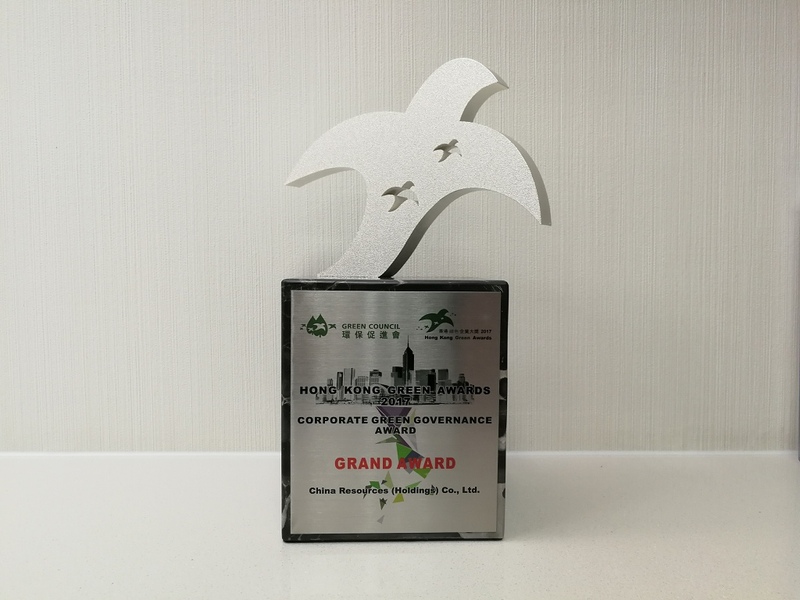 The "Hong Kong Green Awards" is one of a series of public welfare events organized by the Green Council (GC). 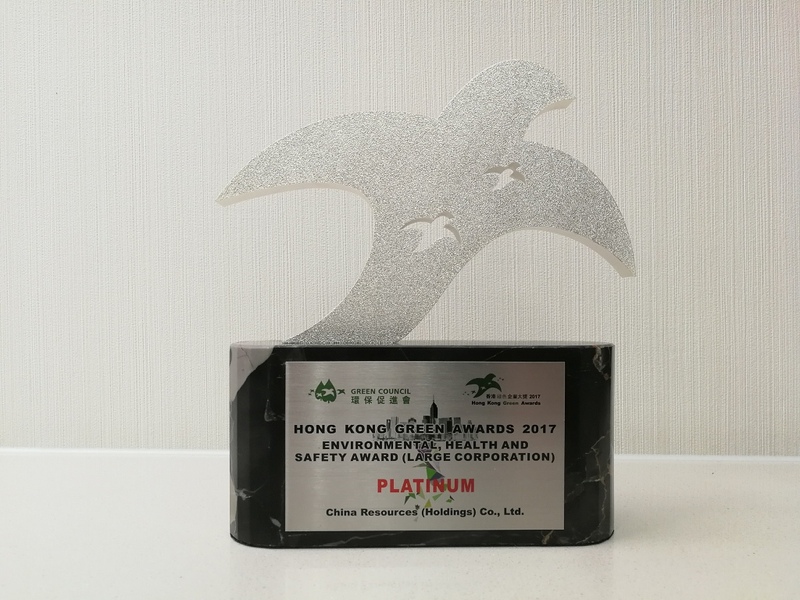 Since 2010 the annual event is dedicated to acknowledging enterprises that have outstanding performance in environmental protection, safety and health, continuously improve their management standard, and firmly hold themselves to their social responsibilities, for which it is very influential in Hong Kong.